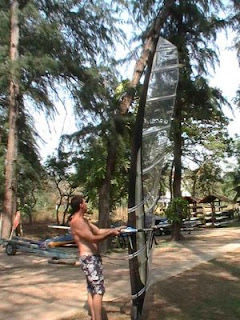 A new brand, a new speedsail... Wow look at the pictures, this is prototype but if the sail got enough stability it will be very fast. I hope to see one real life, but from the pictures I already think this is one with potential. The flat profile and progressive twist. 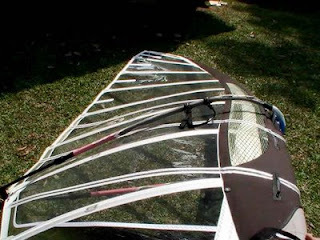 Not to much twist or no profile (which is in strong gusts very fast), but a sail that could work in a quite big range.